Message from Paul M. Nakasone, General, U.S. Army, Director, National Security Agency/Central Security Service. 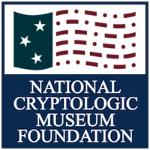 NSA has partnered with the National Cryptologic Museum Foundation for more than two decades on the continued enrichment and enhancement of the National Cryptologic Museum., which has served as a valuable educational tool, cultivating the cryptologic profession and motivating future generations of mathematicians, engineers, computer scientists, and linguists. The museum is NSA's principal gateway to the public, sharing our cryptologic legacy, our place in world history, and our contributions to the Nation. The only public museum in the Intelligence Community, the National Cryptologic Museum has served as an invaluable education tool, hosting tours for thousands of students and teachers each year. The National Defense Authorization Act for Fiscal Year 2017 provides for the continuation of this partnership by granting authority to establish the Cyber Center for Education and Innovation (CCEI), Home of the National Cryptologic Museum, and recognizes the expanded mission not only to celebrate the history of cryptology, but also to support education, training, and public outreach goals of the Agency. A re-imagined and expanded Museum with new exhibits and engaging interactive displays of our iconic artifacts and legacies. A reconfigurable meeting space for lectures, special events, and commemorations. An environmentally controlled library to house a world-renowned, cryptology-focused collection of rare books and documents. Classrooms and work spaces to host innovative cyber education programs for the development needs at the K-12 and post-secondary levels. The CCEI will be a vital venue for NSA through which we can uniquely and powerfully educate and inform the public about our history, our mission, our people, and our values. This Center will also serve as an important element in the development of a strong integrated technical intelligence profession, and will enhance cyber education and innovation for the general public. NSA fully supports this expanded mission and is proud of our continued partnership. 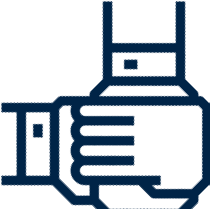 We are grateful for the commitment and hard work of the National Cryptologic Museum Foundation in this endeavor. We look forward to the reconstruction of National Vigilance Park. Get to know the aircraft that make the Park so special.